The event is organized by Il Sole 24 Ore and Confindustria in order to create the network of the most representative and innovative companies of Apulia and jointly write the guidelines of the “Manifesto for Innovation”. Have confirmed their attendance, among others, the Italian Ministers Marianna Madia and Graziano Delrio, the Sole 24 Ore Director Roberto Napoletano, President of Confindustria Giorgio Squinzi and the President of Confindustria Bari-BAT Domenico De Bartolomeo, President of the Puglia Region Michele Emiliano. 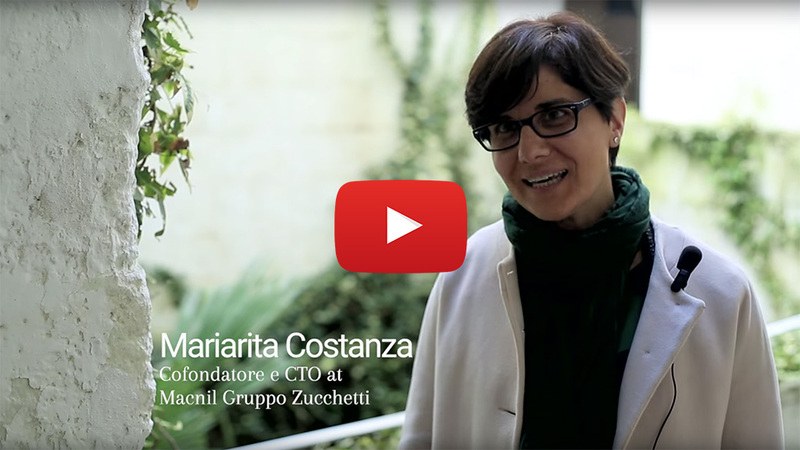 Among the successful business history will not fail to Macnil Zucchetti Group represented by Mariarita Constance, who will present the Murgia Valley project for which our company is working with a network of businesses, startups and local institutions to fulfill a dream: to promote the excellence of the territory curbing the flight of talent and capital abroad.